Adithis Amma Sews - Cute Confessions of a Sew Addict: Special Saturday of August - Surprise! Special Saturday of August - Surprise! turday series to have a grand finale! Ironically it has ended up bit boring! why boring! coz for those who had come to have a look at post written by someone else but me, i have some news, the person who was scheduled to post today unfortunately was unable to send me her post ! (i know you are disappointed, i am disappointed as you are, if not more! ), since i had just a day's time i did not want to pressurise my other bloggy friends into making a guest post in a hurry, then it will not solve the purpose of making it special! So it would have to be me to make up for today's Absence of Special Guest! Circle skirt made to into a bustle with ! i loved this style ever since i saw it in some fashion magazine (don't recollect when and where!) and as i was thinking of new styles to attempt for Sew Skirt September, this was the one that came to my mind! Culottes (also known as Divided Skirts) are modeset and comfy option for those who would love to wear skirts and still be able to ride their bikes! Made the below (first for self, have made culottes before for my DD, she somehow do not like they as much as she likes her 'proper'skirts !) I loved wearing them! it took me 1.5 hours in all to make them (including pattern drafting!). So are you game for this? 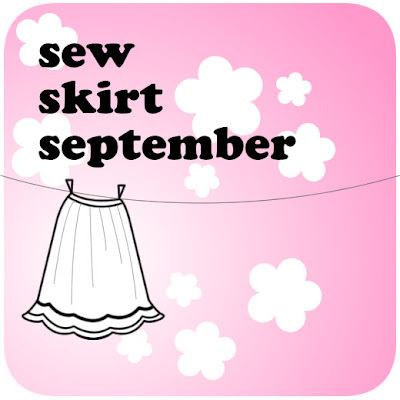 Join in 'Sew Skirt September'; Spread the word! you're covering up great for your bloggy friend;) Adithi's skirt is fun and yep it's something new! Can't wait to see what else you come up with! Love the bustle circle skirt....the fabric is beautiful! Lakshmi ,your little one is a beautiful model knows how to strike a pose and smile.On the other hand you should smile while modelling-- you look so serious!! Just kidding! I am so in awe of women who can sew. I used to when I was a teen but got out of it when I had to work and had no time left. I am a new follwer thru GFC, Twitter and RSS Feed. I would love a follow back on all three when you get a chance. I would follow on FB but had a disaster last Friday. I was going along and liking and following and then FB popped up and said I was spamming and blocked me out of my own FB for 15 days! (5 more to go) but they would not answer my emails so I don't know why. 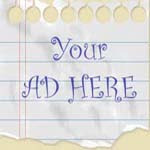 I followed the blog hop rules and when you sign up for them you are giving people the permission to stop by. Anyway, I am keeping a list of those I need to catch up with who do follow now or you can wait until another blog hop and I will follow then on FB so you can follow back. Either way is okay and I understand if you wish to wait. I am afraid now to leave comments on FB so when I do follow I will leave the comment on blogger's blog that I follow so that does not happen again. Thanks for your help and have a great weekend! mmbear. you are most welcome, i am glad my tutorials were of use to you.